Happy! 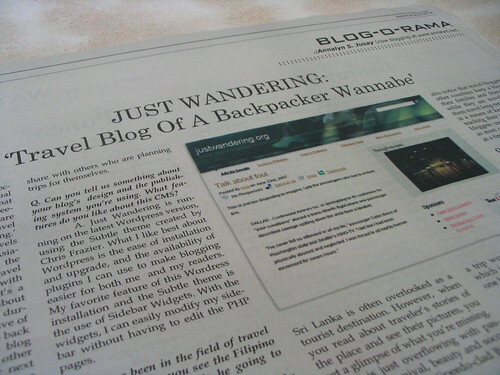 Just Wandering has been featured in Manila Bulletin’s Blog-O-Rama. Thanks so much to Ajay for this opportunity. it is not surprising nins, ikaw pa! congratulations! keep up the great work! and more power! naks! Congratulations on the well-deserved article! I’m one of your regular fans who has learned a lot from and been inspired by your posts. nice nasa blog o rama ka na din!